‘Transparent’, the first exhibition to comprehensively survey QAGOMA’s holdings of watercolours inspired by and painted in Queensland, is full of beautifully translucent and often intimately observed works. Having shown at QAG from March to July this year, it’s now heading to a dozen regional Queensland galleries through September 2016. The works in this unique timeline retrace Queensland’s history from the early colonial era of the mid-nineteenth century to relatively recent times. 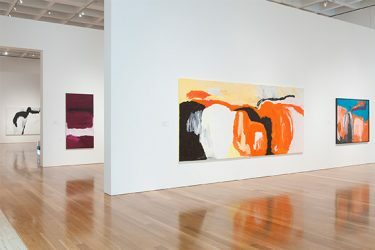 Along the way, they delineate vistas and landscapes; reveal a modernist enthusiasm for the world of industry; and encompass the post-War era through expressionist images of burgeoning Brisbane. Watercolour is an unforgiving and an intimate medium that in the right hands, on the right paper, can yield up spectacular and compelling results. Artists who work in the medium know just how demanding it can be, requiring an extraordinary degree of sureness, confidence and speed in paint handling, with missteps impossible to bury under an additional paint layer. Watercolourists are, for good reason, much beloved of watercolour paper suppliers. Many works invariably hit the ground or the studio floor for want of perfect pictorial and painterly resolution, torn in two before they become evidence of the misadventure. Looking closely at the work in ‘Transparent’, we see the sometimes sketchy under-drawing of pencil; the ridges of paint caught in the chain-like furrows of laid paper; the sparks of body-colour or gouache; the confidence and speed of paint-handling. There are many rewards to be had for giving close regard to this medium. 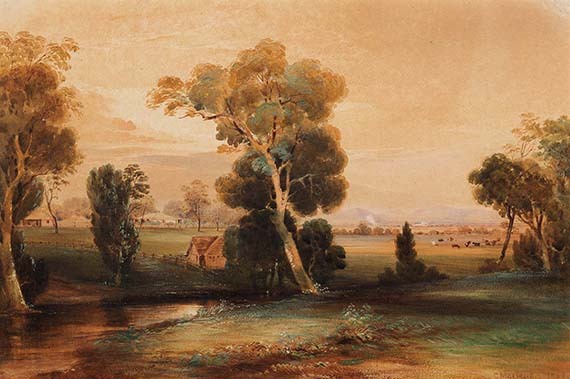 With a strong British tradition, and a popularity borne of portability, it’s no surprise that watercolour was used in many of the earliest colonial recordings of Queensland and its people, in works by the likes of Conrad Martens and Harriett Jane Neville-Rolfe. The exhibition also shows us that artists of a certain era have been closely involved in the administration of the Gallery. James Wieneke, whose wartime work is featured, would go on to be director of the Queensland Art Gallery from 1967 to 1974. Robert Campbell, who has work in a later rotation of this touring show, was the first appointment to the role of Director, from 1949 to 1951. Though his time was short, Campbell had quite an impact on the Gallery. He was an early champion of regional touring, having organised the Jubilee Art Train, which took 51 of our most loved paintings to 85 regional centres by rail. It’s pleasing, in light of this, that ‘Transparent’ is our next major regional tour, continuing our commitment to sharing important exhibitions with the state. Queensland’s broader history is also here in abundance. 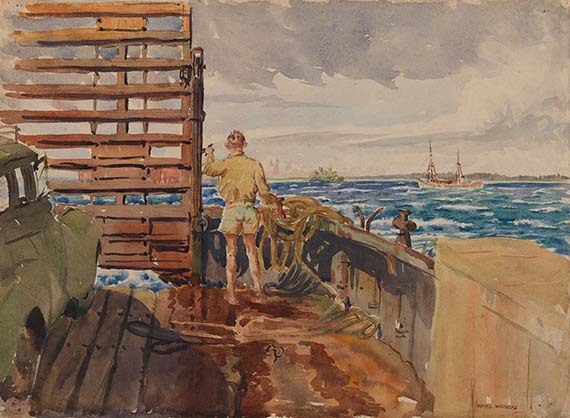 For example, scarcity of oil paints during the lean times of World War II steered WG Grant toward watercolour. He was prolific and some of his finest results are featured in ‘Transparent’. 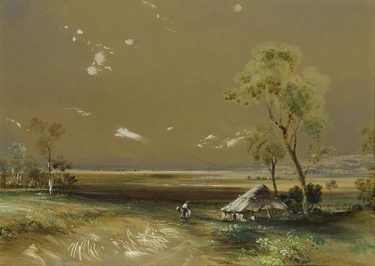 Working in the 1950s, Indigenous landscape painter Joe Rootsey was subject to inevitable comparisons to Albert Namatjira, but his powerful connection to his North Queensland country, and his luminous portrayals of Cape York were distinctly his own. 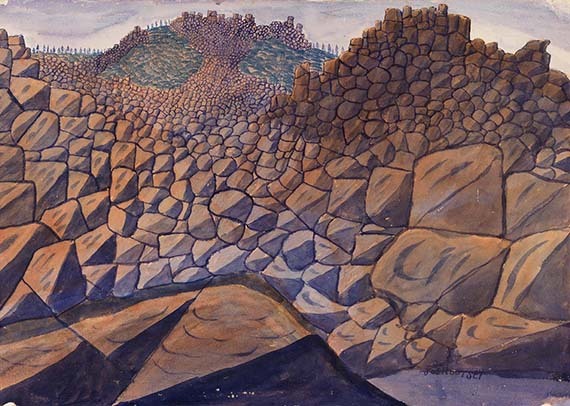 Moving into the 1960s and 70s, a local school of Expressionism is represented by Joy Roggenkamp, and the expressionist vein continues in depictions of sand mining country by Robyn Mountcastle, and later, the moody composition of Tom Pilgrim. The first stop of the tour opens at the Gold Coast City Art Gallery from 25 October, before heading to Bundaberg Regional Art Gallery on 13 December. See the touring exhibition page for all remaining dates. The beautiful accompanying hardcover publication, featuring an essay on the exhibition by curator Michael Hawker and a survey of the artist papers used for watercolours by conservator Samantha Shellard, will be available at the tour venues, or can be found in the QAGOMA Store or online.